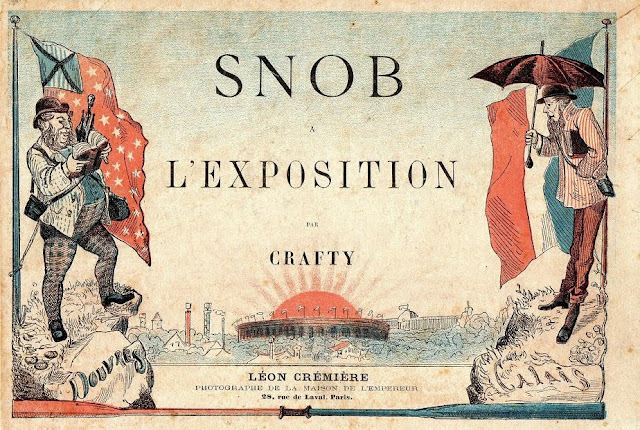 It is believed that the word “snobbery” came into use for the first time in 1820’s England. According to Wikipedia, “‘Snob’ is a pejorative term for a person that believes there is a correlation between social status and human worth.” The word “snob” also refers to a person that feels superiority over those from lower education levels, lower “social classes,” or other social areas. Who is the Real Snob? I have noticed more than once that a certain American newspaper which toadies to “the people” makes a point whenever the opportunity offers of denouncing as a “snob” our present Ambassador to France, Mr. Henry White. Within a day or two it has made an unusually vicious attack, asserting that Americans come home from Paris complaining bitterly of having been snubbed at the Embassy, the while our distinguished representative was groveling at the feet of British Lords and French of high degree; or some such nonsense. Once or twice before this I have been tempted to make comment on these charges, not as a matter of duty to Mr. White, with whom I have but the slightest acquaintance, but to the country which sent him abroad as one of its most conspicuous representatives. To begin with the specific charge, no man was ever less of a snob than Mr. White. He has now been in the Diplomatic Service of the United States for 26 years, and has left his record wherever he has been accredited as one of the few American gentlemen with whom Europeans could find no fault— as simple and high-bred in manner as he is magnetic, intelligent and sympathetic. With more reason to be spoiled than any American we have ever sent abroad, he has never lost his balance, his courtesy, his sincerity. I have quoted him for years, both in Europe and at home as the American Diplomatist of whom we have the greatest reason to be proud; and not only for his in comparable manners, for his warm and genuine Americanism that no amount of old world polish could hide if it would. What does the average person mean when he uses the word “snob?” This is a question which has often puzzled me, and I have a faint idea that it is a pet word with people who have been, or fancy they have been, snubbed; there being a confused sense of relationship in their minds between the two words.